Army Staff Sgt. Travis Atkins was killed in June 2007 while trying to subdue a man who was detonating a suicide vest. 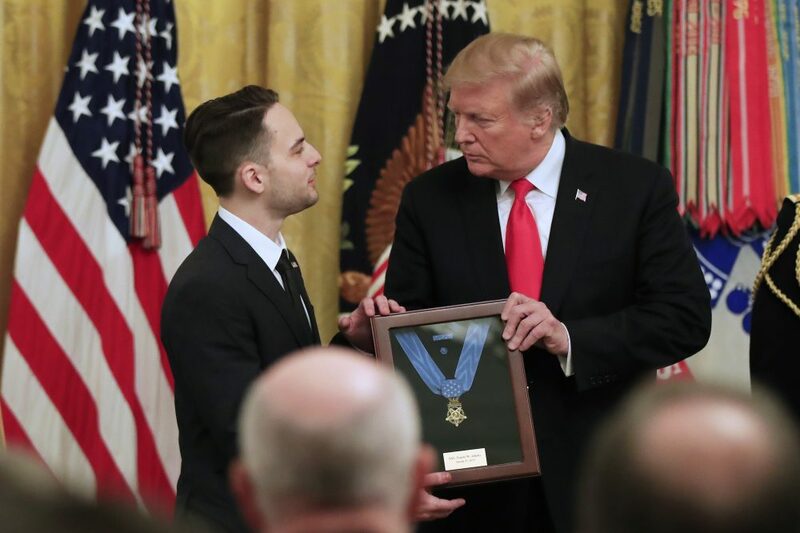 WASHINGTON — The son of an Army staff sergeant awarded a posthumous Medal of Honor by President Trump on Wednesday said he wants his father to be remembered as the best parent and best soldier anyone could ever ask for. Atkins’ had been awarded the Distinguished Service Cross, which was upgraded to a Medal of Honor after a Defense Department review. Trump so far has recognized gallantry during World War II, Vietnam, Afghanistan and Iraq, including three posthumous honors. After the ceremony, two Republican members of Montana’s congressional delegation — Sen. Steve Daines and Rep. Greg Gianforte, announced that they introduced legislation Wednesday to put Atkins’ name on a Veterans Affairs clinic in Bozeman.